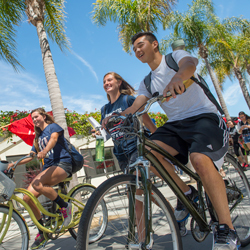 BCLA is the oldest and largest school at LMU and the liberal arts is at the heart of the LMU undergraduate education for all our students. We have 22 degree programs and 28 minors that will help you sharpen your intellectual capacity, gain deep content knowledge, and practice the marketable skills–such as critical thinking, writing, diversity awareness, and teamwork–that are highly valued by employers. In fact, the overwhelming majority of employers prefer to hire people who demonstrate the outcomes from a liberal arts education. Liberal arts graduates have similar peak earnings as business and pre-professional majors, and are more likely to pursue graduate degrees. 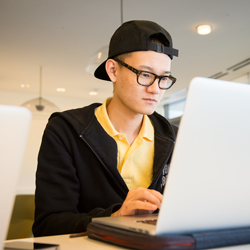 Be able to personalize your studies by combining majors and minors. The liberal arts will stimulate your curiosity, broaden your horizons, deepen your self-awareness, enhance your moral principles and ethical reasoning, and develop habits for lifelong learning. The philosophical and theological dimensions of our intellectual traditions. Interact cross-culturally and pursue justice, locally and globally. Diversity, responsibility, justice, and globally sound human practice. Similarly, BCLA students attain the learning outcomes of their majors and minors, found in the following program descriptions. The University requirements for admission, graduation, and all general rules and regulations of the University as set forth in this Bulletin are applicable to and binding upon all students enrolled in the Bellarmine College of Liberal Arts. 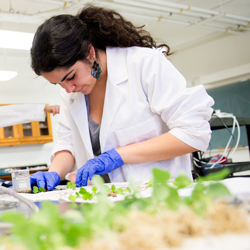 The degree program has three components: core, major, and electives. 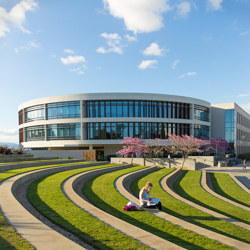 The core curriculum, which is taken throughout the four-year program, provides educational breadth and embodies Loyola Marymount’s educational mission and vision. The major provides a field of concentration that develops a depth of understanding in the humanities or social sciences. Finally, up to one-third of the program is made up of electives. This provides the opportunity for exploring fields of study complementary to the major or for developing expertise in a second major or minor. 124 semester hours are required for graduation with the following distribution: a) at least 45 semester hours of upper division, and b) a maximum of 32 upper division semester hours or no more than two upper division courses beyond the major requirements in any one department will be accepted toward graduation requirements. Enrollment by degree-seeking students at another institution at the same time they are enrolled at LMU is not permitted. Courses taken concurrently elsewhere will not be accepted toward degree requirements in BCLA. See Financial Aid policies for additional restrictions. 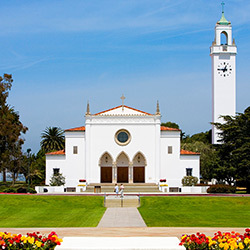 The Bellarmine College of Liberal Arts accepts a maximum of two semester hours of physical education only upon entrance for a new transfer student. Other physical education hours do not count toward degree requirements. A maximum of 10 semester hours of Aerospace Studies credit will be accepted. Students should consult the Dean’s Office for specific policies applicable to the Bellarmine College of Liberal Arts. Students wishing to teach grades K-5 in California public schools are required to obtain a Multiple Subjects Subject Matter Teaching Credential and demonstrate “subject matter competence” to teach the many subjects commonly taught in elementary school. Subject matter competence must be demonstrated by passing the California Subject Examination for Teachers (CSET). 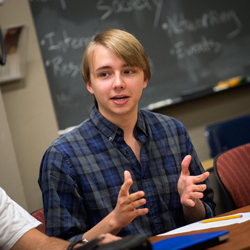 To prepare for this examination, students complete the requirements of the Liberal Studies Bachelor’s of Arts degree in the Bellarmine College of Liberal Arts. Students interested in the Liberal Studies degree program should consult a Liberal Studies advisor. Students wishing to teach in grades 6-12 in California public schools are required to obtain a Single Subject Credential and demonstrate “subject matter competence” to teach a particular subject (e.g., English, Social Studies, Foreign Language, Mathematics, or Science). Subject matter competence can be demonstrated by either passing a national exam or by successfully completing an approved subject matter preparation program in English. Students interested in teaching English at the 6-12 grades levels should consult the English Subject Matter advisor in the English Department. The Frank R. Seaver College of Science and Engineering offers an approved single subject preparation program in mathematics. Students interested in teaching mathematics should consult an advisor in the Mathematics Department. Subject matter preparation programs in science and French are pending, whereas Spanish and the social sciences have been approved. A Multiple Subjects Subject Matter or Single Subject Matter teaching credential can be earned concurrently with a Bachelor’s degree. Except for Liberal Studies majors, students may declare a minor in Education and begin taking Education courses after completion of 30 semester hours (first semester Sophomore standing). In order to maximize the full potential of taking Education courses with the undergraduate program, students are strongly encouraged to declare the Education minor early in their career. Credential programs are also available in Special Education (K-12) and Bilingual Education (Spanish, K-12). For more information on Education programs, see the School of Education section in this Bulletin. For information on these programs, see the Center for Undergraduate Teacher Preparation section in this Bulletin. • Asian and Pacific Studies, B.A. • Chicana/o and Latina/o Studies, B.A. • Classics and Archaeology, B.A.